Even though Hippocrates made his famous statement about gut health way back in ancient Greece during 4th century BC, it couldn't be more truthful and applicable today. Modern research over the last several decades continues to uncover and bring light to the dynamic role which the health of our gut relates to our body's overall health and presence, or lack, of disease. It turns out an unhealthy gut contributes to an incredibly broad range of troublesome and even debilitating health issues including diabetes, obesity, rheumatoid arthritis, depression, hormonal imbalance, IBS, food allergies and sensitivities, and chronic fatigue syndrome, to name a few. An imbalance within the gut contributes to imbalance just about everywhere else in the human body - this is how intimately we are connected with our microbiome. Our "gut" is not just another organ in the human body, it is also home to approximately 100,000,000,000,000 (yes, 100 TRILLION) different microorganisms. It is hard to comprehend what that even looks like. To put it into perspective, we are actually made of more bacteria cells than actual human ones. Your GI tract is one big ecosystem! Probiotics, also known as "friendly flora" play a huge role in regulating our digestive system, yes, but they do so much more than that. It is said that probiotics make up around 75% of our overall immune system, acting as our body's first line of defense against pathogenic invasion. 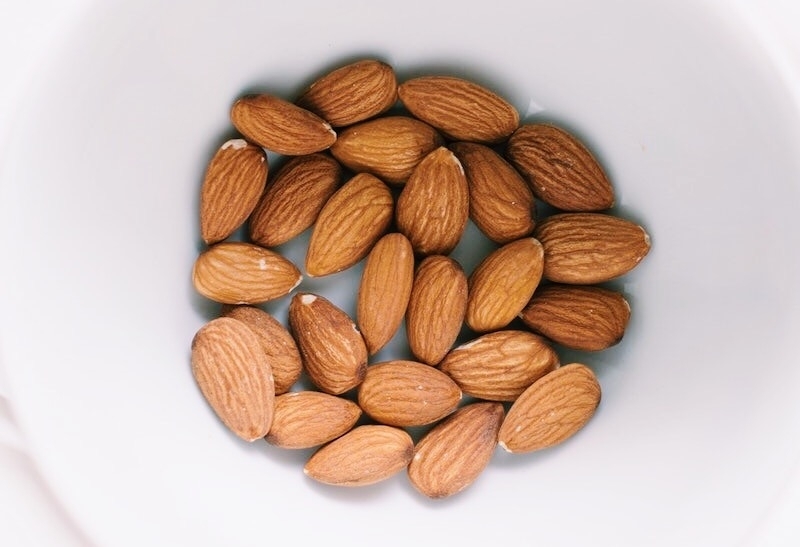 They also play a role in regulating our body's inflammatory response (inflammation being another root cause of disease), and they have even been shown to help regulate our metabolism. Certain probiotics are also critical for the manufacturing and absorption of crucial nutrients like Vitamin B12. The balance of probiotics within the gut can be influenced by a number of different things, from antibiotic use when we're sick, the use of chlorine and other anti-microbial chemicals in our water supply, to good old fashioned chronic stress, but one of the main factors that influences gut health on a daily basis, for better or for worse, is diet. 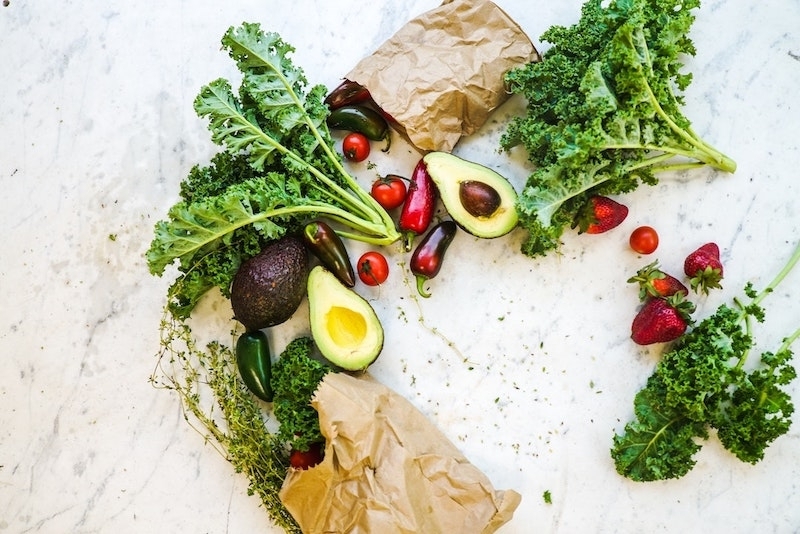 If you're not yet giving your gut health the attention it deserves, we've got 10 gut-loving foods that you can start incorporating into your diet today. 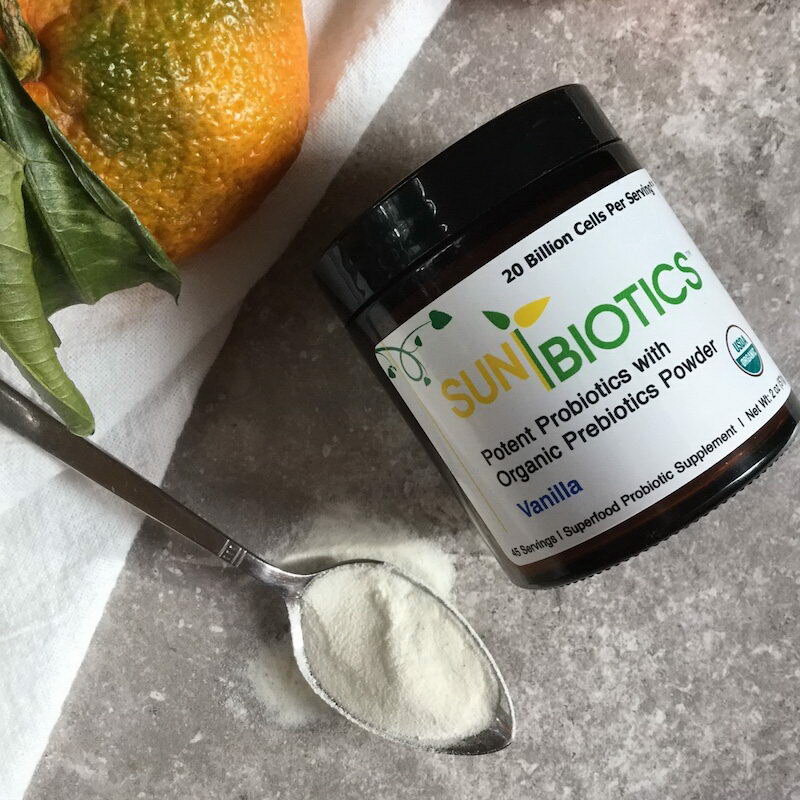 Not only are our Sunbiotics probiotic supplements certified organic and dairy-free, they are also free of many of the common additives you'll find in supplements, yes, even organic ones. Our products are free of waxes, synthetics, binders, fillers, flow agents, glues, colorants, artificial or "natural" flavors, soy, gluten, or animal-derived ingredients of any kind. They are shelf stable and are activated with moisture (ie human saliva, or a drink that you might blend them into). Each serving boasts a full daily dose of probiotics (18 billion CFUs for our tablets and 20 billion CFUs for our powder) and can be taken with our without food. 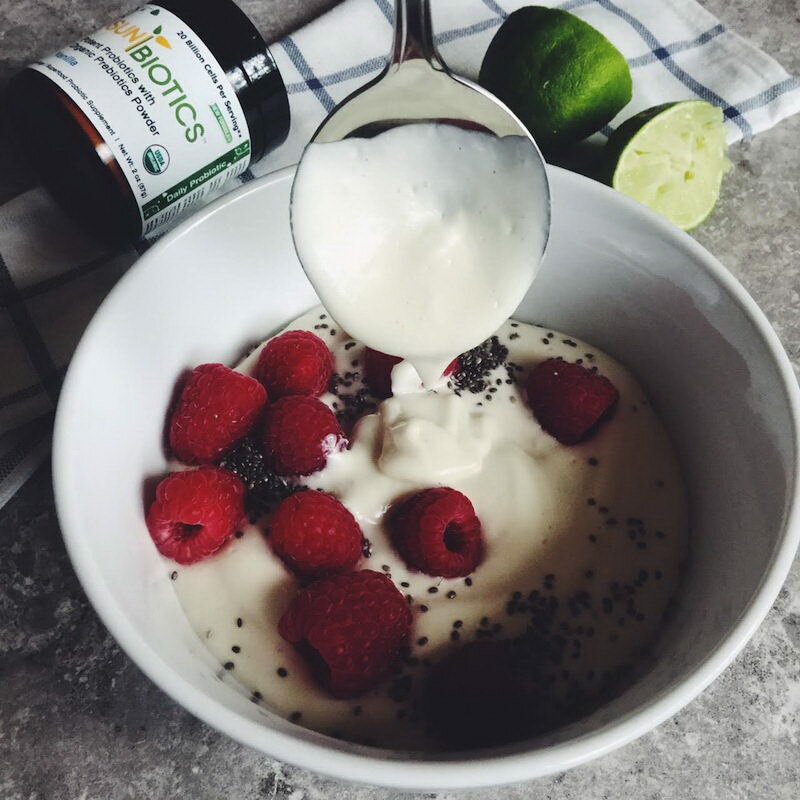 Try making your own probiotic coconut yogurt with our powder formula - a recipe can be found HERE. Jerusalem artichoke, also known as sunchoke, is a tuborous root vegetable that is part of the sunflower family. It has a sweet, carrot-like flavor and crisp and juicy consistency. 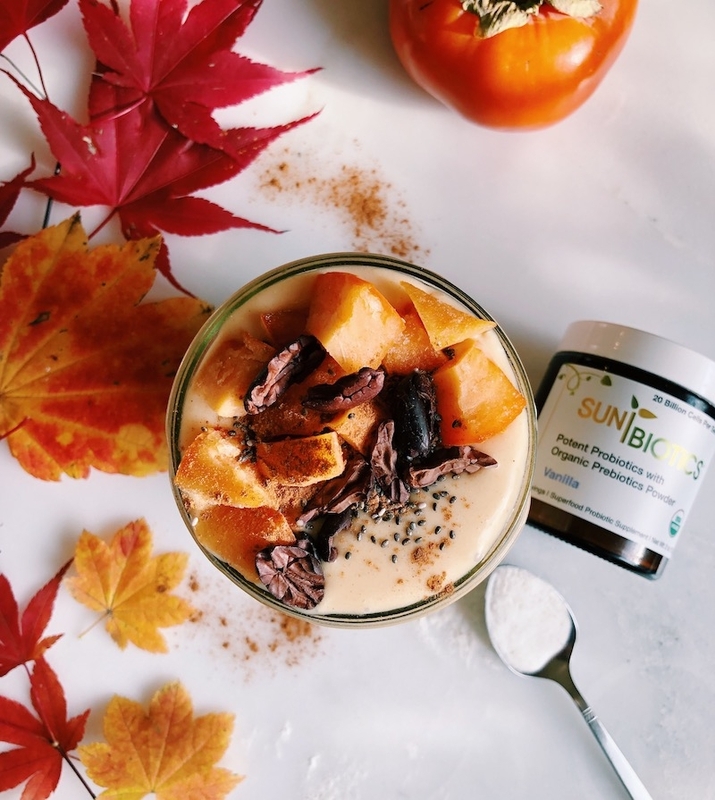 It contains inulin, a type of soluble plant fiber classified as a polysaccharide, which is a potent prebiotic, or food source, for healthy gut flora. It's also one of the main prebiotics that we blend into our Sunbiotics formulas. 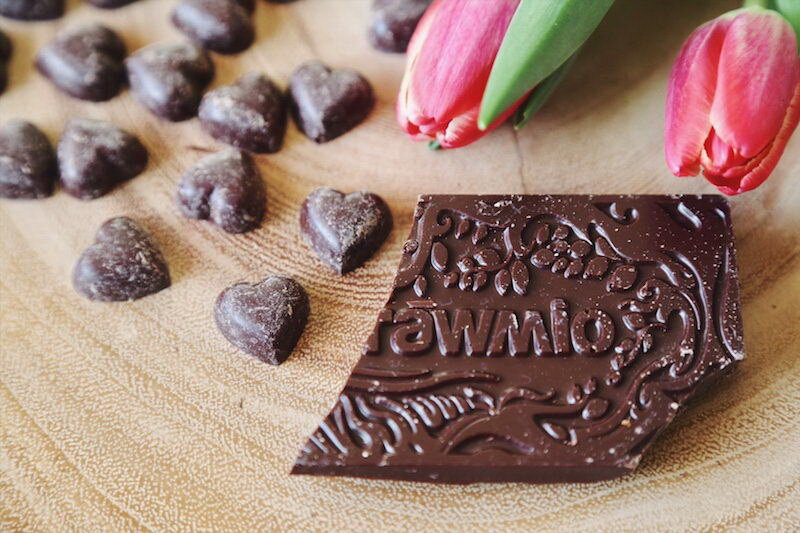 High quality dark chocolate (especially raw chocolate!) is a good source of antioxidant flavonoids, thanks to its base ingredient - cacao beans. Flavonoids have been shown to increase probiotic activity within the gut. Take it to the next level by enjoying a bar of our Sunbiotics Probiotic-Enhanced Chocolate - we've infused each bar with 10 billion CFU's of shelf stable probiotics for a optimized probiotic/prebiotic treat. Not only are dandelion greens an incredible detox aid to the liver, they are also chock full of nutrients like Vitamins K, A, calcium and iron. They also happen to be another great source of inulin fiber for that gut! Pro tip: if dandelion greens are too bitter for you to eat on their own, try coating them in some form of cold pressed oil, it will help cut through the bitter, and will help optimize your body's ability to absorb those fat-soluble nutrients. Burdock root is a long, twig-like, tuberous root vegetable with an earthy, mildly sweet, parsnip-like flavor profile and chewy texture. 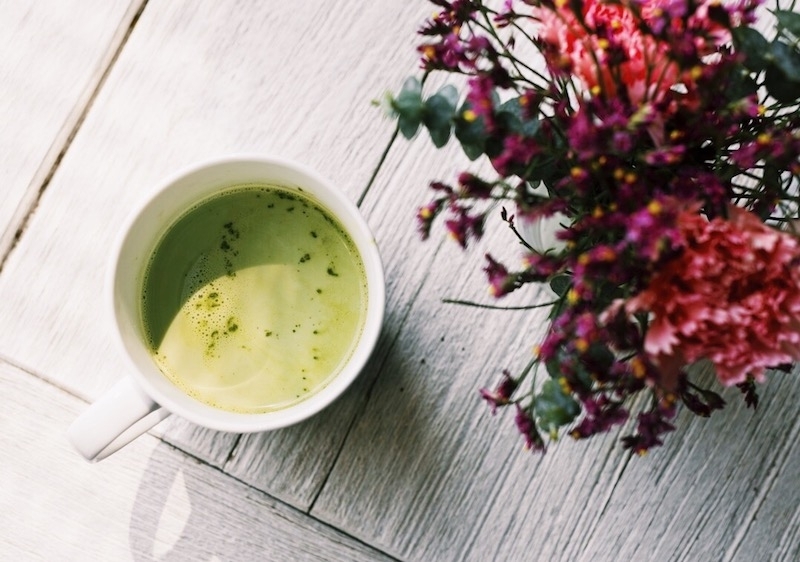 While it may not have the most eye-pleasing aesthetics going on, it has some incredible medicinal properties to boast including helping to purify the bloodstream, and reduce inflammation. Burdock is also a great source of inulin fiber, and contains a substance known as mucilage which helps promote gut health and restore the lining of our GI tract. Oats are more than just a tasty breakfast staple! 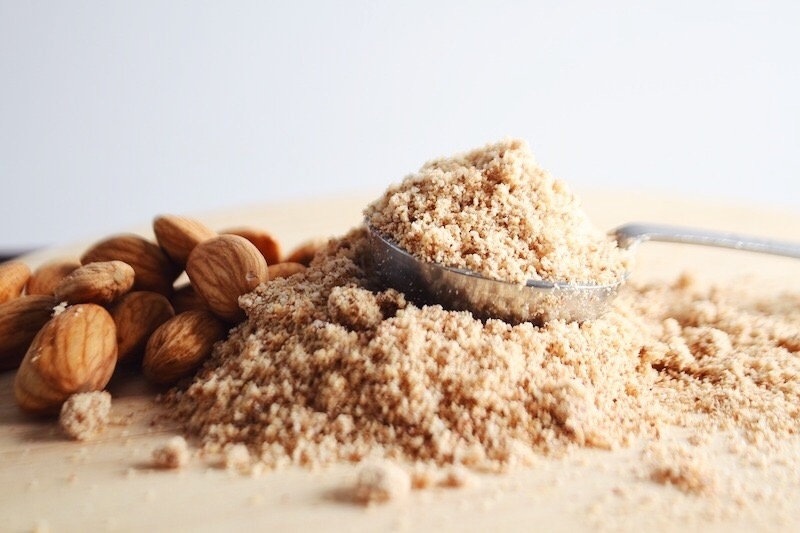 They contain plenty of soluble prebiotic fibers known as beta-glucans, which help to regulate cholesterol in the bloodstream, and also have been shown to increase beneficial probiotic activity in the gut. One of the most tried and true cultured foods for gut health, sauerkraut is a condiment that you can easily start consuming on the daily to give your body a serious dose of beneficial probiotics, not to mention add a delicious pop of flavor to your meals. Cultured vegetables in general are rich with lactobacillus bacteria, one of the main probiotics we want to focus on for overall gut health and immunity. 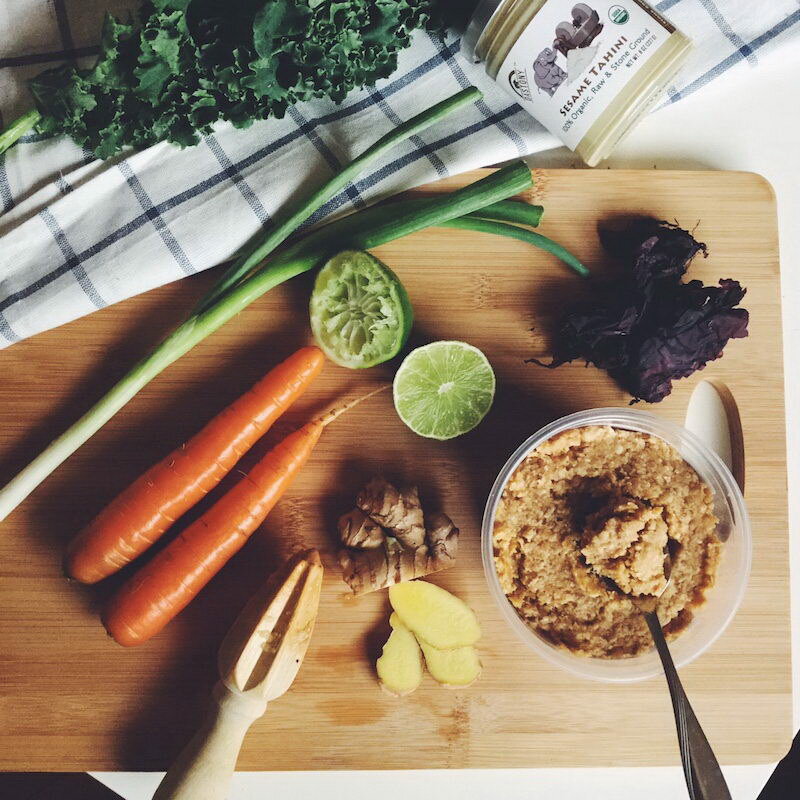 Make sure you're purchasing truly raw sauerkraut, or if you're motivated, try making your own! While these two beverages share some similarites (they are both cultured from a combination of yeast and bacteria), there are also some differences. Kefir is cultured from "kefir grains", while kombucha starts with what's known as a SCOBY (short for Symbiotic Colony of Bacteria and Yeast). Kombucha is a fermented tea, while kefir can be in the form of a liquid yogurt-style drink or an effervescent water-kefir (or coconut water, which is often used). While kefir offers a richer supply of lactic acid bacteria, both or incredibly beneficial tonics for the gut. Raw apple cider vinegar, which still contains the "mother" culture, is a great source of probiotic bacteria, and also contains pectin which acts as a prebiotic. ACV also helps regulate pH in the body, and improves digestion in general by stimulating balanced levels of hydrochloric acid production in the stomach for the breakdown of proteins. You can use it as a base for salad dressings, or make a digestive tonic by mixing 2 Tbs of ACV with warm water, raw honey, and lemon.